An outstanding Nelson and Colne College student is ready to make a difference to the lives of others after achieving two A grades and 1 B in her A Level examinations. Anisha Javed, who attended Ghausia Girls’ School in Nelson, has been left over the moon after securing the impressive grades for her subjects – Biology, Psychology and Sociology. 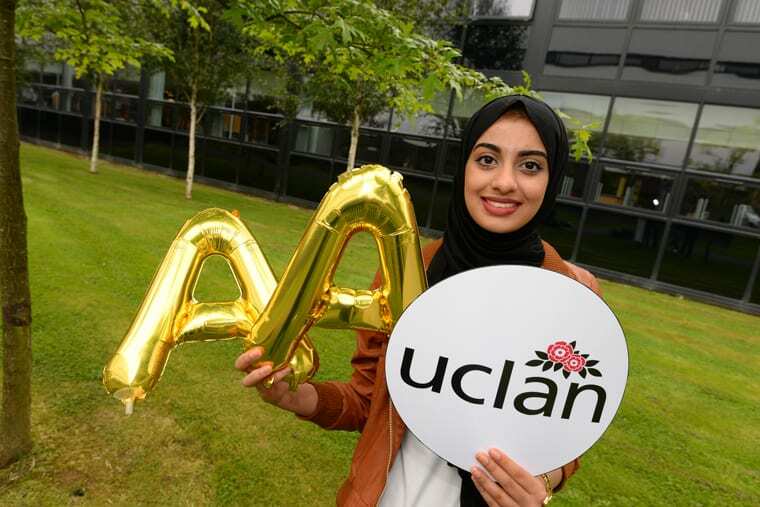 Due to her mature knowledge and dedication to her A Levels, Anisha was offered places at both the University of Manchester and the University of Central Lancashire following interview, and is now ready to start at the latter after receiving her results. The 18-year-old, who completed her Duke of Edinburgh Bronze Award during her time at NCC, said: “Going into the vocation of Adult Nursing will fulfil my dream of making a difference in the lives of those who need it the most.